Recycling markets are down, it is now costing contractors to get rid of plastics and paper and the impact is being felt by Washington County and the City of Washington. At Tuesday’s Washington City Council meeting, Lynn Whaley of WEMIGA Waste, who operates the county recycling center which is also used by the city, explained what is going on in the market, “We’ve never seen a change like this in the United State, or personally I haven’t, where the market has went below zero. One thing is to make zero, and then turn around have to pay to get rid of materials, that’s what we started seeing about in the fall things started to change with the trade of the United States and other countries. And most recently in March, China really shut the door down and in this last month just completely shut everybody off. And this is not just in Washington County, this is nationwide.” He said some places have started going to landfills to get rid of the materials. In May it cost about $1200 to dispose of the materials. City Administrator Brent Hinson said the City and the County are 50/50 partners for the recycling center. He says with the numbers not being “gigantic” they could work through this temporarily. Councilman Steve Gault asked about dumping the recyclables instead since it’s cheaper, “Why aren’t we dumping? Don’t give me this politically correct crap, okay. If we’re talking money, we’re talking the city’s money. We’re talking it went to the landfill before, and I’m sorry, but if it’s going to cost even more money to get rid of a bale of cardboard at City Carton, I don’t care if it’s $10, then it should go to the landfill.” Hinson said the problem right now is that the west coast, which was sending their recyclables to China, has now flooded other markets. Hinson said it is a cyclical market and it is good public policy objective to continue to recycle. 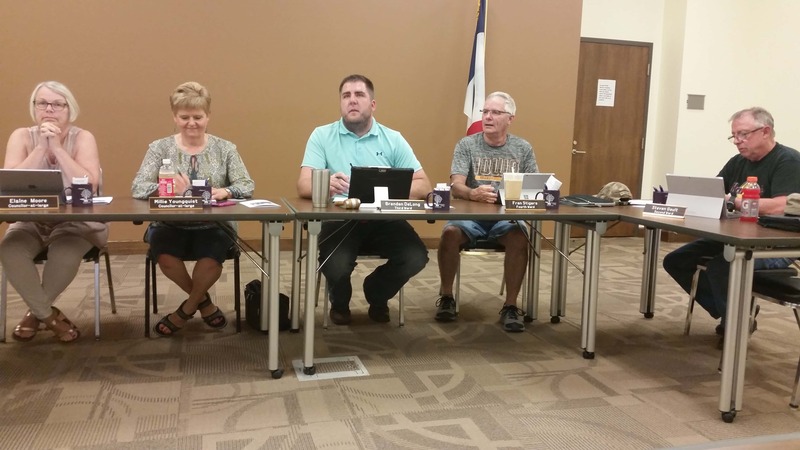 The city plans to continue discussion with the board of supervisors. No official action was taken.